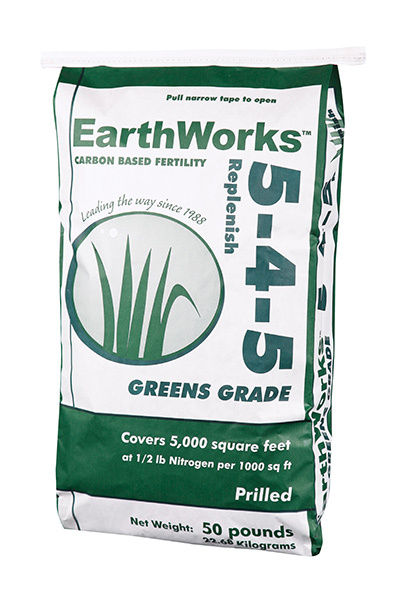 Replenish 5-4-5 is an organic and mineral based soil and plant food and is the “Flagship” of the EarthWorks product line. Replenish 5-4-5 is an all-purpose formulated with OMRI listed organic poultry compost that can be used for any turf or ornamental application without fear of burn or salt build up. 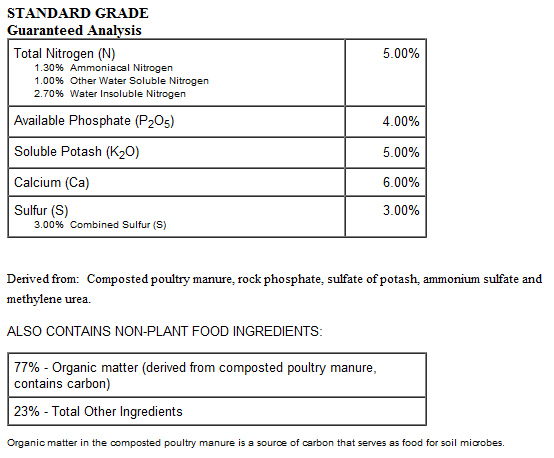 This product is a 50% water insoluble nitrogen (WIN) fertilizer that can provide long term feeding. The Replenish products do much more than feed the plant, they feed the soil. As shown by the Carbon Pyramid, the rich carbohydrates provide a quick burst of energy to beneficial bacteria. Multiple forms of carbon provide a sustainable food source for long term biological activity, and the minerals replenish the soil with the nutrients that are taken away during the season. Soil re-mineralization is an important focus of this product line. 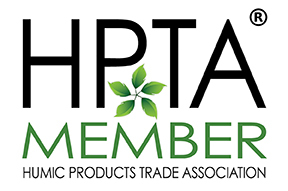 It is the minerals that truly make the Replenish products different. The EarthWorks Replenish line of organic based fertilizers replenish these needed minerals and provide both the soil and the plant what it needs to stay active. 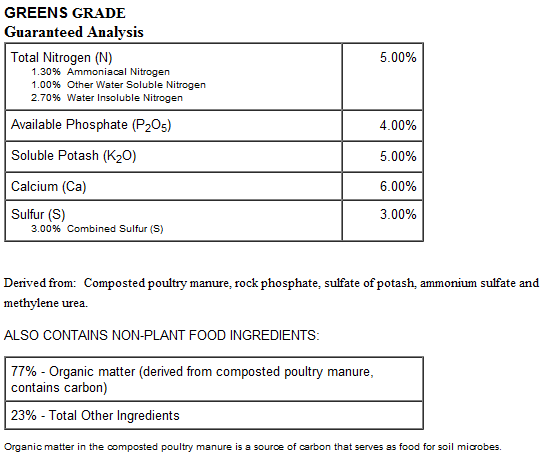 To apply 1/2 pound of Nitrogen per 1000 sq. ft. apply 10 pounds of Replenish 5-4-5 per 1000 square feet of turf. Applications can be made at any time of year. Do not apply to frozen soils or the product can roll off the soil surface. 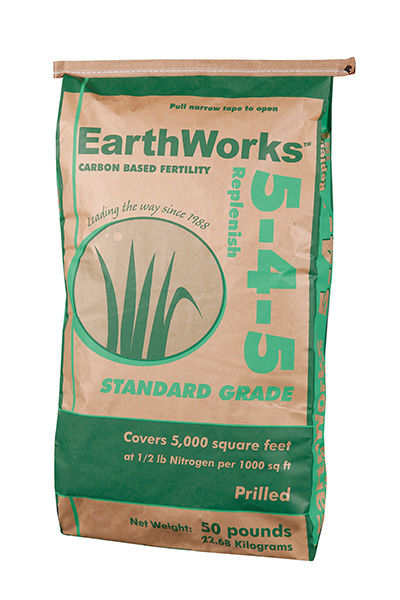 The application of Replenish 5-4-5 should be based on site specific conditions, the need for fertility or the interest in building carbon and mineral levels in the soil.